Fresh off its victory in galvanizing international pressure on Damascus to quit Lebanon, the White House is struggling to contend with the Syrian occupation's most troubling loose end. Under the protection of Damascus, the radical Lebanese Shi'ite Hizbullah movement has developed by far the best-trained and equipped guerrilla combat force in the world, stockpiled roughly 12,000 rockets capable of hitting Israeli population centers and assumed a direct role in training and equipping Palestinian terrorist cells. Hizbullah Secretary-General Hassan Nasrallah has repeatedly vowed that the group will remain armed as long as Israel remains a "threat" (i.e. continues to exist). There is no simple remedy to this danger. In light of Hizbullah's success in expelling American and European peacekeeping troops from Beirut in 1984 and Israeli forces from south Lebanon in 2000, almost no one of consequence in Washington (let alone Europe) advocates outside military intervention, and it's unlikely that Lebanon's central government will have sufficient military and political clout to confront the organization for several years. The question, then, is how to get Hizbullah to disarm voluntarily. Until recently, the Bush administration had a clear strategy - lobby foreign governments vigorously to outlaw the organization, thereby disrupting its capacity to raise money from the Lebanese Shi'ite Diaspora and undercutting its political standing in Lebanon. A tall order, perhaps, but the logic was sound. Hizbullah's biggest political liability in Lebanon is its international pariah status. The administration won some impressive victories, most notably UN Security Council Resolution 1559, which called not just for the withdrawal of Syrian forces but also for "the disbanding and disarmament" of non-state paramilitary groups. While declining to add Hizbullah to its terrorist list, the European Union earlier this year banned the organization's satellite television station, Al-Manar, from broadcasting in Europe. Once it became clear that Syria was committed to pulling out of Lebanon, however, the White House abruptly softened its approach and leaked to the media that the US was prepared, for the first time, to recognize Hizbullah as a legitimate political organization if it disarms and renounces terrorism. No one expected a positive response from Nasrallah, but the offer was itself a unilateral diplomatic concession and the intent was unmistakably conciliatory. Although the reported policy shift was precipitated in part by recognition of Hizbullah's capacity to singlehandedly disrupt Lebanon's transition to democracy (and perhaps even Iraq's), Bush administration officials have expressed optimism that its engagement in the democratic process will facilitate disarmament and moderation toward Israel down the road. Critics of this new line of thinking tend to argue that Hizbullah is merely paying lip service to democratic principles in order to advance its long-term aspirations of establishing a totalitarian Islamist state or destroying Israel. Such claims are inherently difficult to substantiate, however, and it is important to recognize that Shi'ite public opinion is not conducive to the unbridled pursuit of either goal. Theocratic dogma has far less mass appeal among Shi'ites (even in Iran) than it does among Sunnis and few Lebanese see Israel as the kind of existential threat Palestinians perceive it to be. Lebanon's impoverished Shi'ite underclass wants social, economic, and political empowerment above all else and is looking to Hizbullah for deliverance. THEREIN LIES the problem. Although comprising over a third of the population, under the current constitution Shi'ites are allotted only 21% of parliamentary seats and are barred from attaining the two highest government offices (the presidency and premiership are reserved for Christians and Sunnis, respectively). Even if Hizbullah manages one day to monopolize Shi'ite political representation, it cannot effect sweeping socioeconomic change if Lebanon's postwar commercial elite remains politically ascendant among non-Shi'ites. Hizbullah needs the political leverage derived from its armed strength to overcome this obstacle. Far from rendering its paramilitary apparatus obsolete, Hizbullah's domestic crusade mandates its preservation. So long as it remains armed, Hizbullah's domestic political aspirations aren't likely to facilitate moderation toward Israel. It is not difficult to imagine scenarios in which Nasrallah escalates hostilities in order to extort the Lebanese government or divert public attention in the face of domestic setbacks. Some Israeli officials have expressed concern that the domestication of Hizbullah will make it more unpredictable and harder to deter. Although most non-Shi'ite politicians would dearly love to see Hizbullah disarmed, very few are willing to openly demand it for fear it will revive calls for majoritarian democracy. When Nasrallah suggested last fall that the question of extending President Emile Lahoud's term be put to a national referendum, Christian and Druse opposition leaders who had been vocally demanding his ouster fell conspicuously silent in spite of the fact that Lahoud would probably have lost. The mere hint of a direct popular vote in Lebanon sent shivers down their spines. If Hizbullah's price for endorsing the current political system is state recognition of its armed presence, Lebanon's political elites will pay it if they can. Having inherited stewardship of the developing world's most indebted government, however, they can be swayed if the international community makes it clear that much-needed economic aid will not be forthcoming as long as Hizbullah remains armed. This explicit ultimatum may not induce Hizbullah to disarm, but it will throw a wrench in Nasrallah's efforts to negotiate a place for its deadly paramilitary apparatus in the new Lebanon and stigmatize Hizbullah as the primary obstacle to its economic recovery. The time to act is now. 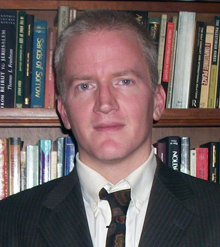 Gary C. Gambill, a former editor of Middle East Intelligence Bulletin, is a political analyst for Freedom House.